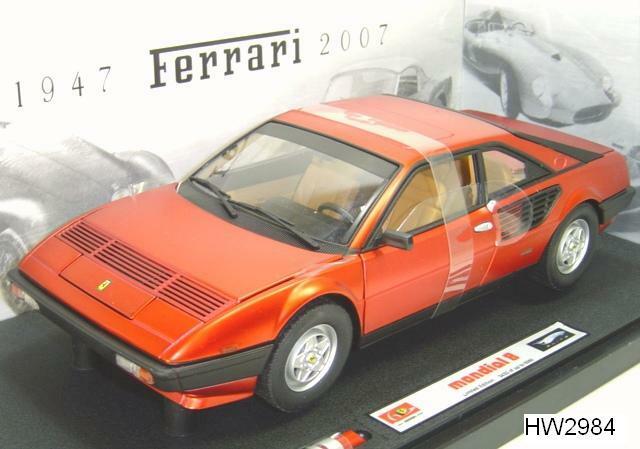 Ferrari Mondial 8 Red 60th Special 1/18 Scale by Hot Wheels ELITE Edition , $69.99 at Modena Motors Inc.
ON SALE AS OF SEPTEMBER 2018. 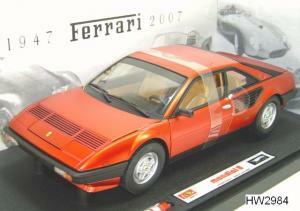 Very hard to find Ferrari model by Hot Wheels ELITE EDITION!!!! Stunning Rosso Anniversary (Red Metallic Satin) brand new in box. Long SOLD OUT and Discontinued by Hot Wheels!!! We managed to find the very last that were available. The detail is spectacular and the value is sure to go nowhere but up on this one. Limited edition commemorating the greatest Ferraris 60th anniversary. Each model is numbered also on it's base. 13% H.S.T. TAX TO BE CHARGED FOR ALL CANADIAN ORDERS.